Resonant Woods custom manufactures speakers for the home studio, audiophile, or manufacturer. 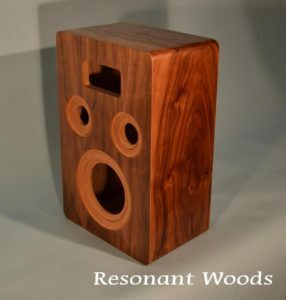 At Resonant Woods we can make your idea come to life. A design may be as basic as a drawing on a napkin to a full proven design that needs to be produced. We can also take a prototype that needs design tweaks and make it into a manufacturable product. We will work with you to provide the product that you desire. We can also provide electrical and mechanical assembly. Speakers shown above are for a manufacturer had a good product that needed minor modifications to their design for manufacturability. 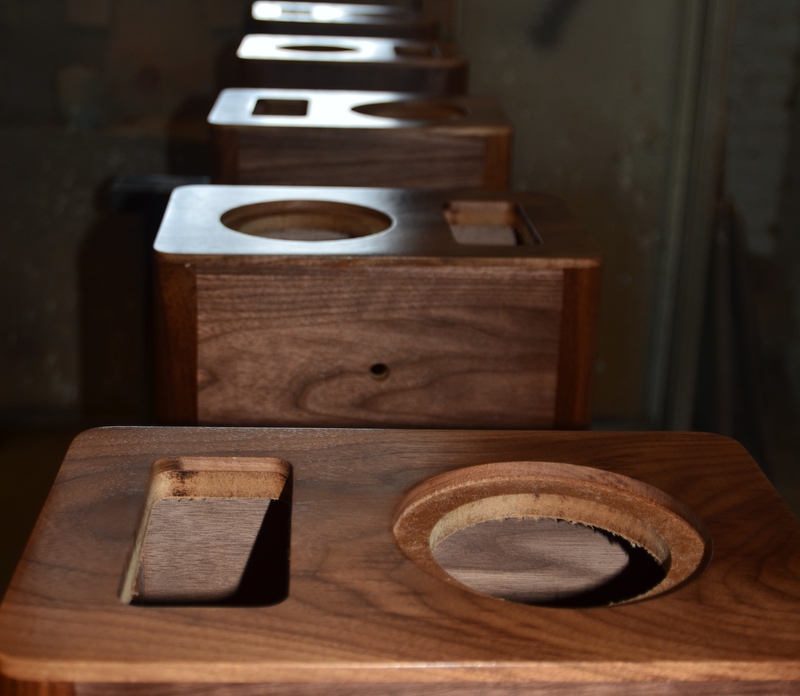 This speaker is now being produced by Resonant Woods and is assembled and packaged by the manufacturer. Speakers above are produced for Sakura Systems. 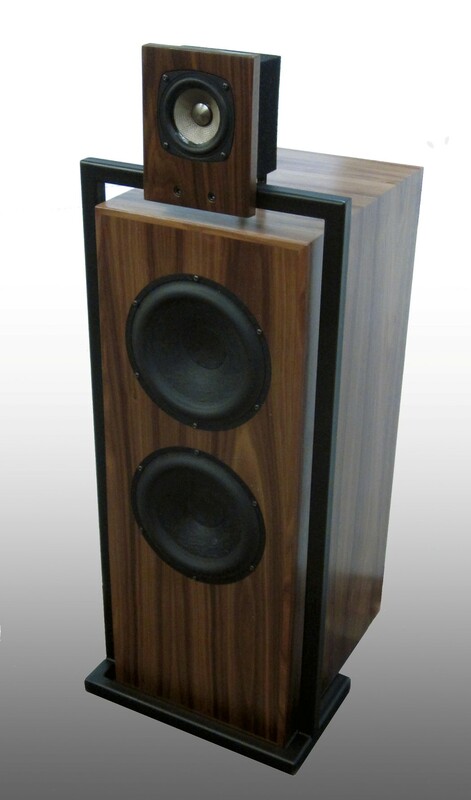 Concept and speaker design were produced by Sakura Systems, and are proprietary to them. Please visit them at http://www.sakurasystems.com/ to view all of their products. 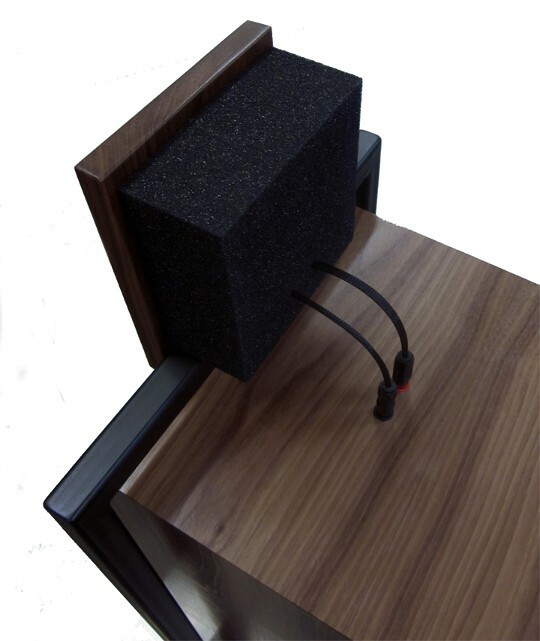 Resonant Woods provides the enclosures and metal frame, fully finished. 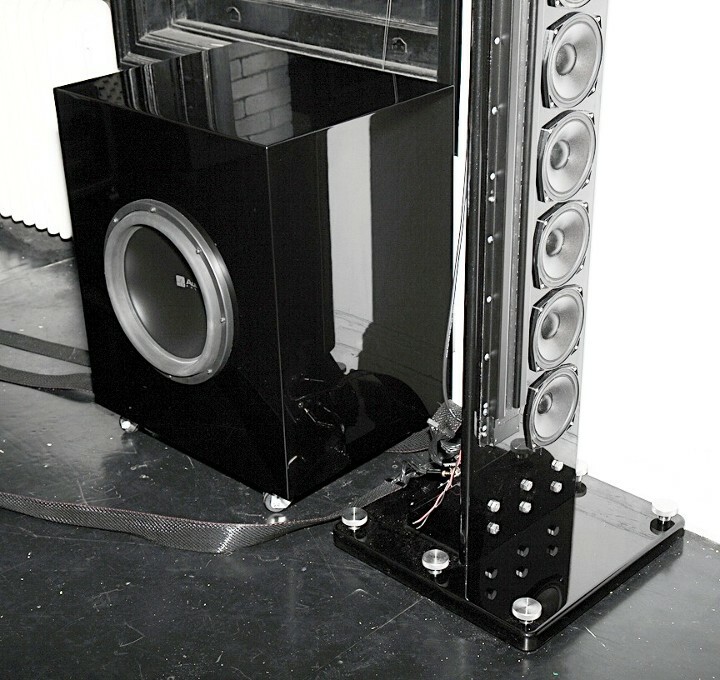 Speakers and electronics are installed by Sakura Systems. Speakers above are a custom design for an audiophile in New York City. Speakers and cabinet volumes were specified by the acoustic designer. Material selection and mechanical design was completed by Resonant Woods. 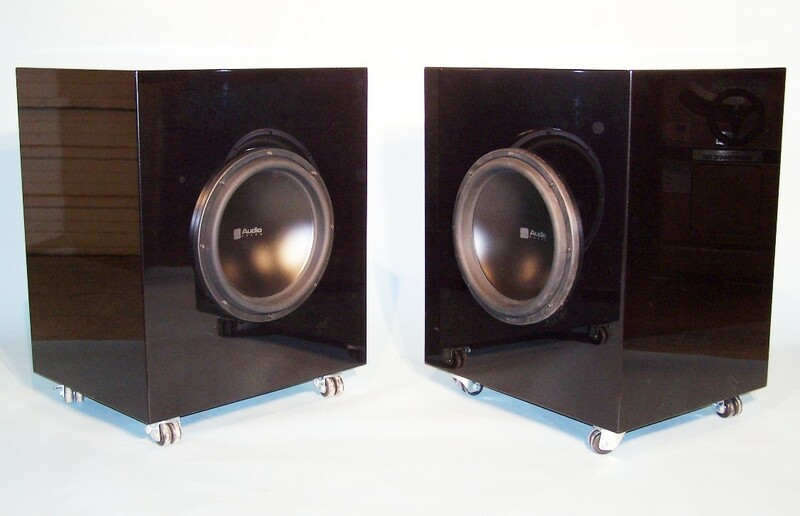 Sub woofers are enclosed in a 25 in square cube manufactured of 1 inch thick acrylic. Line drive speaker is 10 foot tall and is constructed of 1 inch thick aluminum plate attached to a 1.5 inch thick aluminum base. Finish is an automotive urethane, black pearl metallic, applied and polished in house. 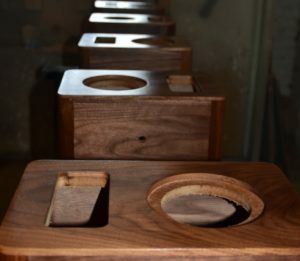 Final assembly and wiring performed by Resonant Woods.